Everything you need to know to make the most out of your trip to Flagstaff. Don’t know where to go? Don’t know what to do? 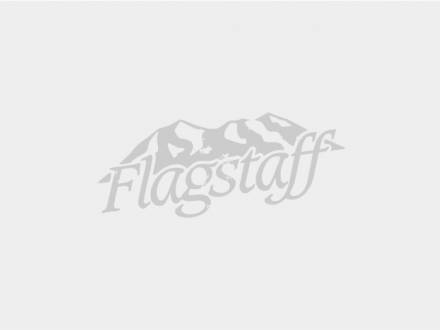 Go to Visitor Center for maps, brochures, directions or any other information you may need about your stay in Flagstaff and its surrounding areas. Drink lots of water, apply sunscreen and lip balm frequently, and rest as often as necessary. At high altitude the sun is more intense and you may experience fatigue and shortness of breath. While you are here, plan to use Flagstaff as your home base to explore some of the most spectacular scenery in the world. The city is only 80 miles from the Grand Canyon and close to seven national parks and monuments. Flagstaff is a hub of activity where an eclectic mix of small town charm and endless outdoor adventure beckons. I adopted my Airedale Terrier, Bailey, in 2012, and we’ve been traveling together ever since. Looking for eco-friendly and responsible travel vacations with memory-making experiences and adventure? Visitors, subject experts, and media have recognized Flagstaff as the destination offering the cleanest crisp mountain air within the world’s largest contiguous Ponderosa pine forest and the world’s first international dark sky city. 307 W. Dupont Ave. Flagstaff, Arizona 86011 U.S.
1580 E. Route 66 Flagstaff, Arizona 86001 U.S.
4200 Lake Mary Rd. Flagstaff, Arizona 86005 U.S.
22181 Resort Blvd. Flagstaff, Arizona 86004 U.S.
121 S San Francisco St. Flagstaff, Arizona 86001 U.S.
121 S San Francisco St.
120 N. Leroux St. Flagstaff, Arizona 86001 U.S.
2760 E. Butler Ave. Flagstaff, Arizona 86004 U.S.
1500 E. Cedar Ave., Suite 40 Flagstaff, Arizona 86004 U.S.
413 N. San Francisco St. Flagstaff, Arizona 86001 U.S.
901 S Milton Rd., Suite A Flagstaff, Arizona 86001 U.S.
1800 S. Milton Rd. Unit 24 Flagstaff, Arizona 86001 U.S.
23 N. Leroux St. Flagstaff, Arizona 86001 U.S.